It's time for a new pattern featuring the awesome Double Wide Dresden Ruler! The Beach Ball pattern really is SO much fun, and the ruler helps you create that awesome, unique middle starburst! Barb and Mary of Me and My Sister Designs help us quilt along with this easy-to-follow tutorial video! Purchase your Beach Ball pattern and your Double Wide Dresden Ruler, and let's get to quilting! 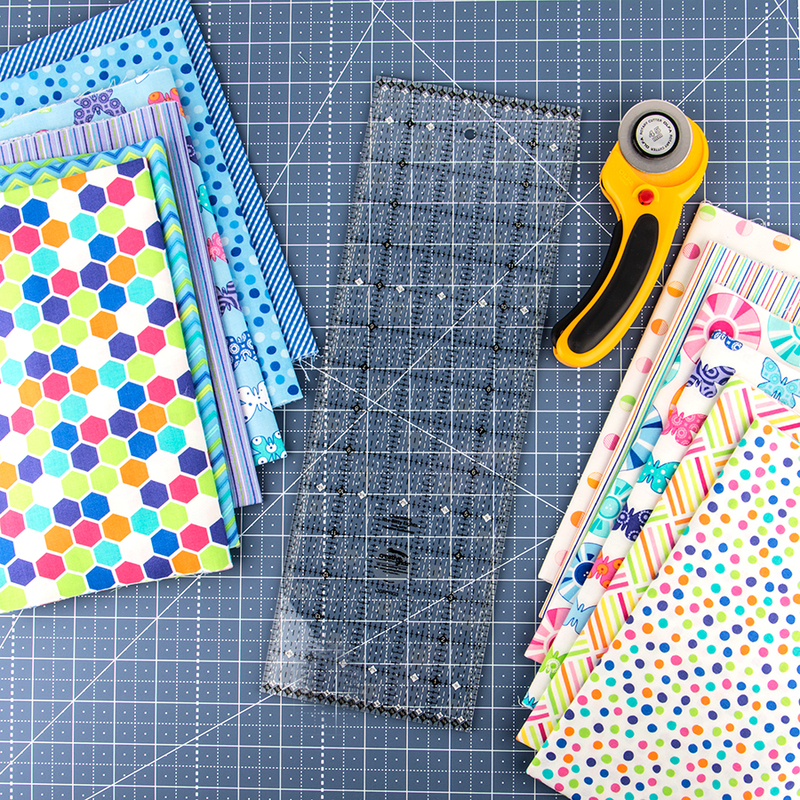 Don't forget to pick one of our favorite, fun Me and My Sister Designs fabric collections! Today, we picked Brighten Up! Be sure to share your projects with us on social media! #doublewidedresden. Tune in at the same time tomorrow for a video tutorial on the Dragon Fly quilt pattern!